A large rapture was standing in the Maitland River near my house, February 23 2012. 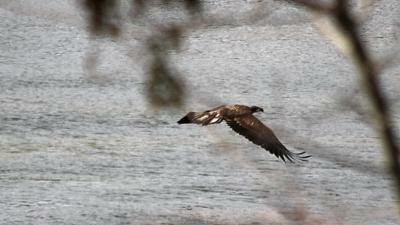 It was only 200 ft from the spot where I photographed two Bald Eagles four days prior. 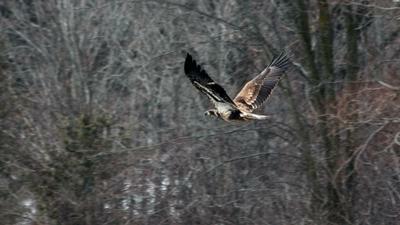 I have since found some pictures of immature Bald Eagles; I am sure this is a 2 yr old Bald Eagle. 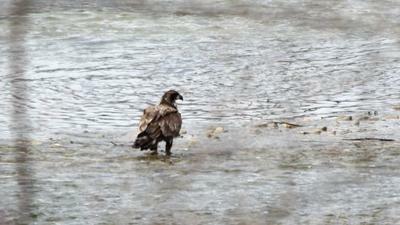 I am hoping, this section of the Maitland River is becoming a Bald Eagle favorite. Thank you so much for sending your report and pictures of the Bald Eagles - they are great and I know our readers will enjoy seeing them!